This entry was posted in Christmas on December 28, 2017 by Administrator. 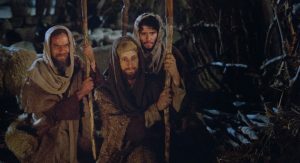 Why Did the Wise Men Give Gifts of Gold, Frankincense, and Myrrh? Little is known about the Wise Men. The Gospel of Matthew says they came from somewhere east of Jerusalem. The early Christian writer Justin Martyr said that they were Jewish men who came from Arabia, southeast of Judea. They may have been among the many Jewish people who were looking for the fulfillment of Israelite prophecies about the coming of the Messiah, such as Daniel’s 490-year prophecy. Jewish traditions also spoke of temple priests who had gone into exile in Arabia awaiting a chance to return. The Jerusalem Talmud, Tacanit 4.5, mentions priests who had fled from Jerusalem and settled in Arabia around 625 B.C. Other priests may have been expelled by King Herod when he built his own magnificent temple in Jerusalem. So, it is possible, as Margaret Barker first pointed out in her book Christmas: The Original Story (London: Continuum, 2008), that the Magi came from these priestly groups or from other groups of watchful priests awaiting the coming of the Lord of Holiness. If so, their three gifts could not have been more perfectly suitable, given by priests to their new High Priest. The gift of gold would have sparkled like the gold that was required in the Temple. According to scripture, the inner doors, altar, table for the bread of the Presence, lamp stands, bowls, censers, utensils and implements of the Temple and the paneling on the walls of the Holy of Holies were to be made of pure gold or were gold-plated (1 Kings 7:48-50). Gold was incorruptible and did not rust. It was thought to have absorbed and embodied the radiance of the sun. Shiny gold objects reflected radiantly the heavenly glory of the sun. Frankincense, a resin gathered from trees in south Arabia, provided fragrance in the Temple. The Holiness Code required incense to accompany every sacrifice “offered by fire to the Lord” (Leviticus 24:7). Its sweet, billowing smoke was thought to carry prayers up to heaven. It was burned in the Temple to invite and invoke the presence of the Lord. 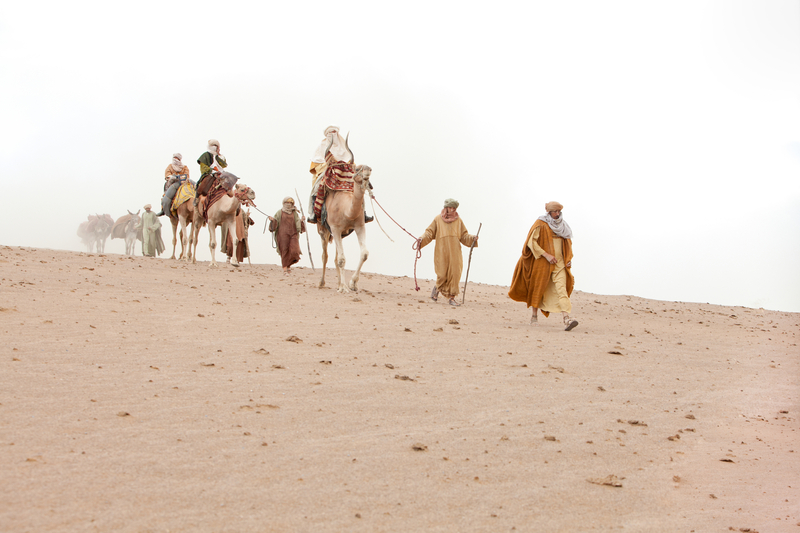 Isaiah 60:6 prophesied that camels would bring gold and incense from southwestern Arabia, but what about myrrh? Myrrh is another resin, drawn from the life-sustaining sap of another desert tree. It was a key ingredient in preparing the sacred oil that imparted holiness. The recipe for that anointing oil is found in Exodus 30:23-24. It calls for 500 shekel-weight of myrrh, 250 of cinnamon, 250 of calamus, and 500 of cassia to be mixed in a hin (about one gallon) of olive oil. That anointing oil was uniquely used to sanctify the temple, the ark of the covenant, and the temple vessels, menorahs, and altars. Most of all, it was used to anoint and consecrate the High Priest, and it could not be used outside the Temple (Exodus 30:26-33). The holy myrrh had disappeared from the Holy of Holies and been hidden away in the time of Josiah according to the Babylonian Talmud, Horayoth 12a. It represented Wisdom (Ben Sira 24:15), and because of its preservative qualities it was used in preparing the dead for burial. But more than that, this myrrh oil was known as the “dew of resurrection,” and it had anointed the royal high priests after the order of Melchizedek and transformed them into sons of God. One early Christian, Pope Leo the Great, said: “He offers myrrh who believes that God’s only begotten son united to himself man’s true nature.” That uniting of divine and human was the mystery of the myrrh oil in the Holy of Holies. Old traditions also spoke about Adam receiving gold, frankincense, and myrrh from three angelic messengers, so that he could offer proper sacrifices when cast out of Eden. By giving Jesus these three essential, holy, and precious gifts, the Wise Men prepared Jesus, “the last Adam” (1 Cor. 15:45), to offer the ultimate sacrifice as the new and everlasting High Priest, bringing eternal light, life, and God’s presence from heaven above to earth below. This entry was posted in Christmas, John W. Welch, Matthew, Matthew 2 on December 14, 2016 by Administrator. This entry was posted in Christmas, Eric D. Huntsman, Matthew, Matthew 1 on January 9, 2015 by Administrator. This entry was posted in Christmas, Matthew, Matthew 2, S. Kent Brown on December 25, 2014 by Administrator. This entry was posted in Christmas, Luke, Luke 1, Luke 2, S. Kent Brown on December 25, 2014 by Administrator. The earliest recorded prophecy that points to Mary and her son arises in Isaiah’s book. As he reports, he is commanded to meet Ahaz, the King of Judah, while the King and his party are inspecting “the conduit of the upper pool” on the north side of Jerusalem because this pool and its channel supply water to the temple and the city (Isaiah 7:3). The year is 734 B.C. and the city is surrounded by two hostile armies, one from Syria and one from the northern kingdom Israel. The King and his associates are at risk while outside the city’s walls. And so are Isaiah and his son when they go to meet them. After Isaiah assures the King that the siege will soon be lifted, the prophet invites Ahaz to ask for “a sign of the Lord” to prove that the Lord will move events to this end. The King declines in an act of feigned humility that draws Isaiah’s ire (Isaiah 7:12–13). Thereupon, the prophet declares that “the Lord himself shall give you a sign; Behold, a virgin shall conceive, and bear a son, and shall call his name Immanuel.” This prophecy is fulfilled, at least in its distant future meaning, in Jesus’ birth to Mary (Isaiah 7:14; Matthew 1:22–23). Centuries later, in Nazareth, the angel’s appearance to Mary changes everything for her. Notably, the angel’s mention of Elisabeth’s pregnancy offers a way for Mary to get away from the small town of Nazareth where everyone knows everyone else and where her promised pregnancy will soon become apparent. According to Galilean Jewish custom, pregnancy during the period of betrothal causes a scandal and can invalidate the planned marriage. Going to Elisabeth puts Mary in the arms of the one person who knows both the challenges of silent and open criticism by one’s relatives and acquaintances as well as how to keep her head up in the face of disapproval. Mary must have gone to the home of Zacharias and Elisabeth with the approval of her parents and perhaps in the company of an older family member. Surely, she will have gone in a traveling group for safety, a necessary circumstance that Jesus’ parents enjoy years later when they travel to Jerusalem with their youthful son Jesus in a group of fellow travelers (Luke 2:44). After all, roads are dangerous for the solitary traveler (compare Luke 10:30), and the more so for a young woman. Mary visits Elisabeth. From the Bible Videos series. Courtesy The Church of Jesus Christ of Latter-day Saints. It is in her cousin’s home that young Mary’s spiritual character becomes even more visible. For after Elisabeth speaks “with a loud voice” when welcoming her youthful cousin (Luke 1:42), Mary begins to sing. The written inspiration for Mary’s words has long been known, the prayer of Hannah (1 Samuel 2:1–10), an indicator that Mary already knows much of the Old Testament. But Mary’s song, called the Magnificat from the first word in the Latin translation, goes beyond that of Hannah who mainly celebrates God’s exaltation of the low people of the earth, an idea that includes herself and her young son Samuel. In contrast, Mary’s song is chiefly one of redemption, both for her (“[God] that is mighty hath done to me great things”—Luke 1:49) and for others (“his mercy is on them that fear him”—Luke 1:50). The theme of redemption appears even in tiny details. For instance, Mary repeats the words “from henceforth” (Luke 1:48). These become a characteristic expression of Luke that, in most cases, points to Jesus’ redemptive act (Luke 12:52; 22:18, 69; Acts 18:6). Further, in the Septuagint the term “great things” (Luke 1:49), megala in Greek, often refers to God’s actions during the Exodus on behalf of the children of Israel, thus carrying the sense of redemption (LXX Deuteronomy 10:21; 11:7; Judges 2:7). The trip back to Nazareth must have been emotionally taxing for Mary. After all, we have no indication that she shares the news about the angel with her family before she visits Elisabeth. On the basis of Matthew’s note, “she was found with child” (Matthew 1:18), it appears that only when she becomes visibly pregnant does she confide in Joseph. His reaction? Obviously, he does not believe her story about the angel which she must have told him to explain her condition. His parents’ reaction? We do not know. Nor do we learn the response of Mary’s parents. Joseph’s family, naturally, has every right to demand that the betrothal be undone. This is the direction Joseph goes. Fortunately, as an honorable person, he is “not willing to make her a publick example” (Matthew 1:19). He steers Mary away from severe punishment. Then God reaches out to this good young man through His angel (Matthew 1:20–21). What the next few months are like, we are not informed. We can imagine that Joseph and Mary are happy to leave Nazareth for Bethlehem. By then, their engagement, which effectively marries them, is over and, by custom, she has been escorted to his home as many ancient manuscripts affirm by reading simply “Mary his wife” in Luke 2:5. In a word, they are married. —Based on The Testimony of Luke by S. Kent Brown, an e-volume in the BYU New Testament Commentary Series. This entry was posted in Christmas, Luke, Luke 1, S. Kent Brown on December 25, 2014 by Administrator. What on Earth are Swaddling Clothes? As is well known from the often told Christmas story found in the Gospel of Luke, Mary wrapped her newborn son “in swaddling clothes” (Luke 2:7). What on earth were swaddling clothes, and why would Luke have bothered to include this detail in his account of the birth of Jesus? While we may not know for sure exactly what kinds of clothes were used or how they may have looked in Jesus’ case, it seems highly likely that all infants in the ancient Mediterranean world were tightly wrapped in long bands of cloth. So these bands were not “clothes,” like a shirt or pants or pajamas, and they were not just a diaper, but long strips of cloth wrapped all around the baby. Indeed, the early English translators of the New Testament probably used “clothes” as the plural of “cloth,” both here in Luke 2:7 and also in the passages describing the linen cloths used to wrap the body of Christ for his burial in Luke 24:12 and John 19:40; 20:5, 6, 7. In mentioning the burial cloths, the plural noun othonia (linen cloths) is used. But in Luke 2:7, no noun is used, but instead only a single Greek verb appears; translated by the King James translators as “wrapped in swaddling clothes,” esparganōsen is a past tense form of the word sparganoō, “to wrap.” The clear meaning of this word, in any text dealing with a baby, is to swath or bundle an infant. Ancient Jewish and Greek sources, discussed below, indicate that wrapping an infant in this way was common, ordinary, and meaningful. On the night that Jesus was born, the angel told the shepherds that if they would go looking in Bethlehem, they would find “the babe wrapped in swaddling clothes, lying in a manger” (Luke 2:12). And they went quickly and indeed found the babe “lying in a manger” (Luke 2:16), but here the swaddling clothes are not mentioned. 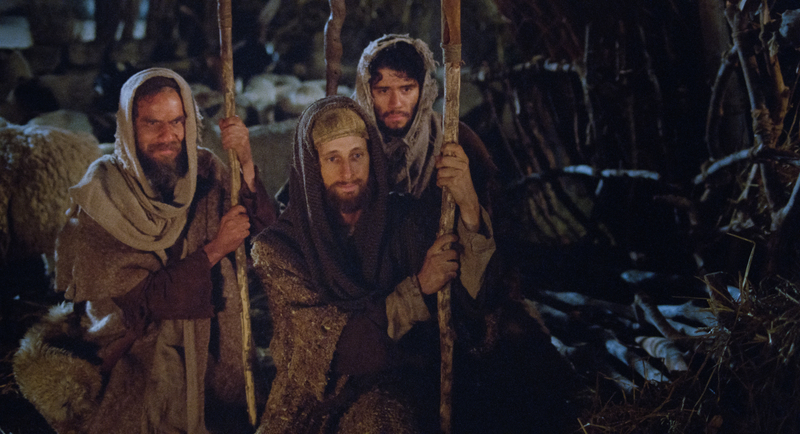 The angel had told the shepherds that something about this whole situation would be a “sign” (Luke 2:12). So, it is reasonable to ask, what is so significantly indicative here? It would probably not have been unusual to find a newborn baby in Bethlehem. And, it would not have been remarkable to find a baby wrapped in swaddling clothes. But to find a newborn in a manger, that would be very unusual and therefore singularly significant. After all, how many newborns are placed in a phatnē, most likely a feeding trough for cattle, oxen, goats and sheep? As far back as the time of Ezekiel in the sixth century B.C., swaddling was referred to as an indication that a baby was properly cared for. In Ezekiel 16:4, the Lord speaks to Israel about the abandoned and desperate condition in which He had found his people, saying “And as for thy nativity, in the day thou wast born thy navel was not cut, neither wast thou washed in water to supple thee, though wast not salted at all, nor swaddled at all.” In that allegorical description, the baby was cast out into an open field, unwanted and exposed, and the lack of salting (for drying and cleansing) and swaddling was a sure sign that the baby had been legally abandoned and could be claimed. This is evidence that swaddling was normal and significant well back into the ancient history and customs of Israel. Swaddling bands are also used metaphorically of the creation of the earth in Job 38, speaking of the time in heaven when the morning stars and all the sons of God shouted for joy. As part of that creation, God reigned in the primordial sea, as if the earth had broken the waters within the womb as it was coming forth in birth (Job 38:8), and then God wrapped the earth overhead in the cloud or firmament between heaven and earth, when He “made the cloud the garment thereof, and thick darkness a swaddlingband for it” (Job 38:9). Here, God serves as a father, providing his creation with the kind of loving care and parental obligation that would have been commonly understood to be the first token of acceptance and validation given to a newborn by its lawful parents. Thus, when Mary wrapped Jesus in swaddling bands, this sends recognizable signals to all in their culture that this baby, who has come down as a creation of God, is wanted, owned, embraced, and is being fully cared for. Mary and Joseph were prepared at the time of the birth, having brought to the stall these bands in which to tightly bundle and gratefully receive the infant Jesus. One writer has offered the following description of swaddling: “For years the Orientals of Bible lands have cared for an infant child much as it was done when Jesus was born. Instead of allowing the young baby the free use of its limbs, it is bound hand and foot by swaddling bands, and thus made into a helpless bundle like a mummy. At birth the child is washed and rubbed with salt, and then with its legs together, and its arms at its side, it is wound around tightly with linen or cotton bandages, 4-5 inches wide, and 5-6 yards long. The band is placed under the chin and over the forehead.” Although based on customary practices whose antiquity cannot be determined precisely, nothing could signal more clearly the helpless state of a newborn human more than being wrapped tightly in any such way. Such a being has relinquished all power even to move, let alone to do, at that point, much of anything. It is possible that swaddling bands were, at least on some occasions, marked in some way or accompanied by other tokens in order to identify whose baby it was. Babies could, after all, be easily mistaken, as can happen in hospitals even today. The importance of identifying features coming in connection with the swaddling bands of a child’s earliest infancy was understood widely enough that classical Greek and Roman tragedians and comic writers could make literary use of such bands and tokens as “objects left with an exposed child, the marks by which a person’s true birth and family are identified.” Apparently, it was the combination of some sign, token, or marking with the concurrence of swaddling that was especially noteworthy. In the case of Oedipus, he was marked from his swaddled infancy (sparganōn) with a pin that riveted his feet together. In the case of Jesus, the sign of being laid in a manger came together with his being swaddled. But further evidence would need to be found to know if these bands or tokens were ever in some ways distinctive to particular families. It has been suggested that swaddling bands could be “embroidered with symbols indicating family history and genealogy,” and indeed one may add that early Christian tradition associated Mary with spinning, so she may have had access to good cloth and thread out of which to make bands of swaddling cloth for her child. That being the case, since Joseph and Mary were from the tribe of Judah, the swaddling bands wrapped around Jesus “may have used symbols common to that lineage such as a lion, a lamb, or a tree of life,” together with the royal colors of blue and white, but that idea, however endearing, goes well beyond anything we can say or know for sure. Also, it may be that “according to ancient and modern custom, the embroidery, to be acceptable, must be exactly the same on both sides. This was a type showing that the outward life and the inner life were the same—they were never to have a ‘wrong side’ to their character,” and that “under the wedding canopy, these decorated bands would be tied around the clasped right hands of the bride and groom; hence the saying, ‘they tied the knot.’ These bands would later be used to fasten the swaddling clothes of their children.” Such a practice would nicely merge with the idea that swaddling conveyed the message that the child had not been abandoned but belonged under the marriage rights and privileges that blessed the home into which that child was received. But again, the authentication of these interesting suggestions, which are advanced on the basis of more recent practices, must await evidence from ancient sources. So, what on earth were swaddling clothes, and what can be said of Luke’s inclusion of this detail in his infancy narrative? In the final analysis, they represent maternal care and concern, being wanted and owned, received and embraced, and when accompanied with some sign or token they could presage a portentous future. But most of all, these bands signal the helpless state of the newborn infant, within the bounds and conditions of earthly mortality. As the author of the apocryphal Wisdom of Solomon reflects, as he speaks in the voice of even the legendary king of Israel: “I myself also am a mortal man, like unto all. . . . When I was born I drew in the common air and fell upon the earth, . . . I was nursed in swaddling clothes (sparganois), . . . for there is no king that had any other beginning of birth. For all men have one entrance into life, and the like going out” (Wisdom 7:1-5). Thus, being wrapped in swaddling clothes, even as an eternal heir apparent, symbolizes—and perhaps does so more than any other accoutrement of life—one’s entrance into full humanity. Indeed, that the Lord Jehovah would become flesh as a helpless child and was swaddled like any other infant is an exquisite manifestation of his unfathomable condescension (see John 1:14; Philippians 2:7; 1 Nephi 11:16–20). Liddell, Scott, and Jones, A Greek-English Lexicon (Oxford: Clarendon, 1968), 1624. Joseph A. Fitzmyer, The Gospel According to Luke (I-IX) (Garden City, New York: Doubleday, 1981), 408. Liddell, Scott, and Jones, Greek-English Lexicon, 1624. Fred H. Wight, Manners and Customs of Bible Lands (Chicago: Moody, 1953), 108-9; quoted in Monte F. Shelley, Remembering Christ at Christmas (Orem: Summit View, 2008), 44. Liddell, Scott, and Jones, Greek-English Lexicon, 1624, citing Sophocles, Oedipus Tyrannus 1035; Menander, Perikeiromenē 15; Donatus ad Ter, Eun. 753, and possibly Aristophanes, Acharnenses, 431. In Plautus’s Rudens 4.4.111, the story alludes to a “custom of tying round the necks of children, when they were exposed, little tokens or ornaments, which might afterwards serve as means of recognition.” Richard Jebb, The Oedipus Tyrannus of Sophocles (Cambridge: Cambridge University Press, 1966), 110 n. 1035. Further examination of such references is called for. Oedipus Tyrannus lines 1034-35. He was exposed a few days after his birth, line 77, but thereby was recognized years later. Donna B. Nielsen, Beloved Bridegroom (Salt Lake City: Onyx, 1999), 35; quoted in Monte F. Shelley, Remembering Christ at Christmas (Orem, Utah: Summit View Publishing, 2008), 46. Nielsen, Beloved Bridegroom, 36; quoted in Shelley, Remembering Christ, 46. Nielsen, Beloved Bridegroom, 35-36; quoted in Shelley, Remembering Christ, 46. This entry was posted in Christmas, John W. Welch, Luke, Luke 2 on December 22, 2014 by Administrator. One of the puzzling dimensions of Luke’s story of Mary and Joseph has to do with the presence of families from the south of the country, specifically from Bethlehem, that have located in the north, specifically in the small town of Nazareth. To ask the question another way, What brings the families of Mary and Joseph together more than a hundred miles from their original ancestral lands? When the tax enrollment is enjoined on residents of the country, Joseph travels to Bethlehem, “his own city . . . because he was of the house and lineage of David” (Luke 2:1–4). Presumably, he still has family and property there, the elements that draw him back. The same situation apparently faces Mary. First, she is a descendant of David, as we learn from the Apostle Paul. That is his meaning when he writes that Jesus “was made of the seed of David according to the flesh [through His mother]” (Romans 1:3; compare Luke 18:38–39; 20:41; Acts 2:30). And David’s family is rooted in Bethlehem. Second, the verb “to be taxed” governs the phrase “with Mary,” indicating that she also has to travel to Bethlehem for the tax enrollment because her family still has ties there (Luke 2:5). Not unlike other women known to reside in Judea a century later, she may well be a joint-owner and joint-inheritor of property in Bethlehem. This said, we still seek a plausible, historical reason for the families of Mary and Joseph to find their way north. The most visible arises about a century earlier when the Jewish Hasmonean ruler Aristobulus (105–104 B.C.) sends forces to the north from Jerusalem to subdue Galilee’s inhabitants, not all of whom are Jews, as Josephus informs us. To make sure that government matters function properly, Aristobulus sends southern officials to Galilee to manage Hasmonean political and economic interests. It is likely that many of these officials sink roots into the soil of Galilee and raise their families there. On this view, one possible reason why the families of southerners, such as those of Mary and Joseph, are living in northern towns like Nazareth is that their forebears arrive either as government officials or as people who see an opportunity for a better life after Galilee comes under Hasmonean control. Further, as Talmage suggested a century ago, the ancestors of Mary and Joseph, with ties to the royal family of David, may see Galilee as a place to escape potential retribution by the Hasmoneans who might view such people as competitors for the throne of the Judean kingdom. Our earliest glimpses of Mary in the New Testament Gospels present themselves in Matthew and Luke. Matthew draws our attention initially to the newly pregnant Mary and the difficulty with Joseph (Matthew 1:18–25). In contrast, Luke introduces us to Mary in her home where the angel finds her. This is the meaning of the expression “in unto” (Luke 1:28). It always refers to an interior space (compare 1 Nephi 3:11). Moreover, in Luke’s Gospel the verb eiserchomai, “to come in,” usually points to a solemn entry into a special space (Luke 11:52; 13:24). Because the angel says “Fear not” to Mary, an expression also spoken to Zacharias and the shepherds (Luke 1:13, 30; 2:10), thus tying these experiences together, it is apparent that she does not expect to see a stranger where she sees him, namely, in her parents’ home. Here, in the sacred place of family activities and training, she hears the surprising words adorned with respect, “Hail, thou that art highly favoured, the Lord is with thee: blessed art thou among women” (Luke 1:28). It is important to establish that God does not choose Mary at random, letting his choice fall on her in some incidental gracious act. No. She is known to the heavenly world centuries before this moment as Nephi’s vision of her attests (1 Nephi 11:13–23). The report of the angel’s visit also begins to unveil Mary’s notable qualities. In the first instance, she is not bowled over by the angel’s coming. Even in her youth, she maintains her presence of mind because she thinks of the right question to ask at the end of his message: “How shall this be, seeing I know not a man?” (Luke 1:34). Second, the angel’s words “highly favoured . . . [and] blessed” (Luke 1:28) clearly imply both heaven’s regard for this young woman and, just as important, Mary’s maturing respect for heavenly things. Third, she is thoughtful enough to sense an imperative in the angel’s words about Elisabeth that she should visit her older cousin: “thy cousin Elisabeth, she hath also conceived a son” (Luke 1:36). And she acts on that implied command. Last, her final words to the angel, “be it unto me according to thy word” (Luke 1:38), disclose her anticipation of the challenges ahead, including her fall from her society’s standard of uprightness when people discover her pregnancy and what it will mean to be the mother of God’s son. This entry was posted in Christmas, Luke 1, Luke 2, S. Kent Brown on December 19, 2014 by Administrator. This entry was posted in Christmas, Luke, Luke 1, S. Kent Brown on December 17, 2014 by Administrator. This entry was posted in Christmas, Luke, Luke 1, S. Kent Brown on December 15, 2014 by Administrator.